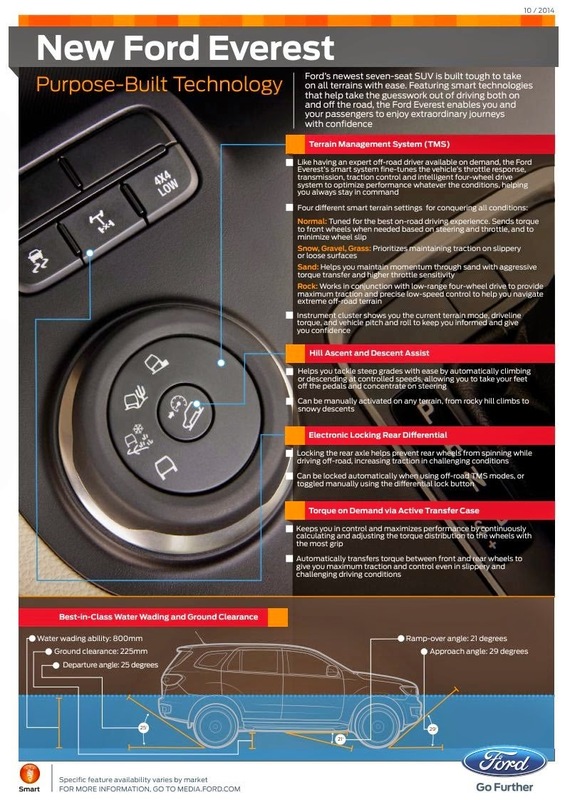 All things you need to know about the Ford Everest 2015 will be on these “cheat sheets”. 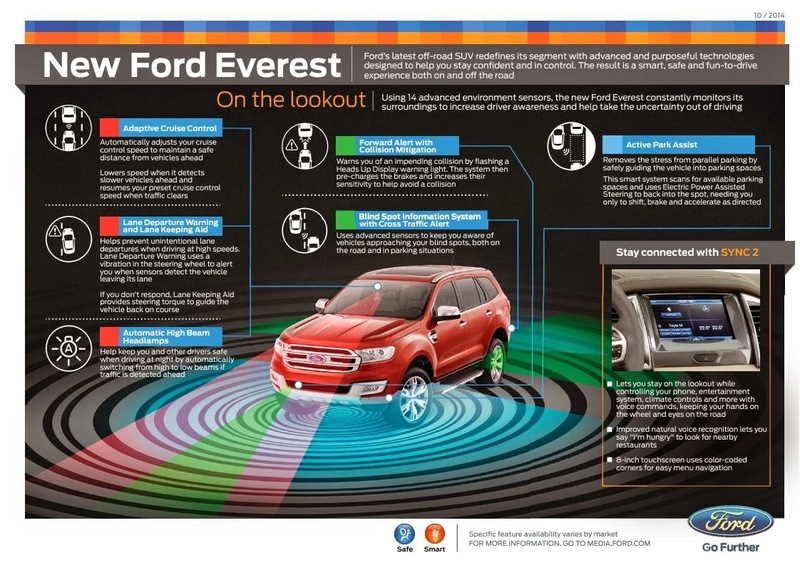 These series of factoids, produced by Ford serves as a handy chart to see why the Everest is bound to re-write the SUV rulebook when it finally hits Viet Nam and the whole South-East Asia soon. 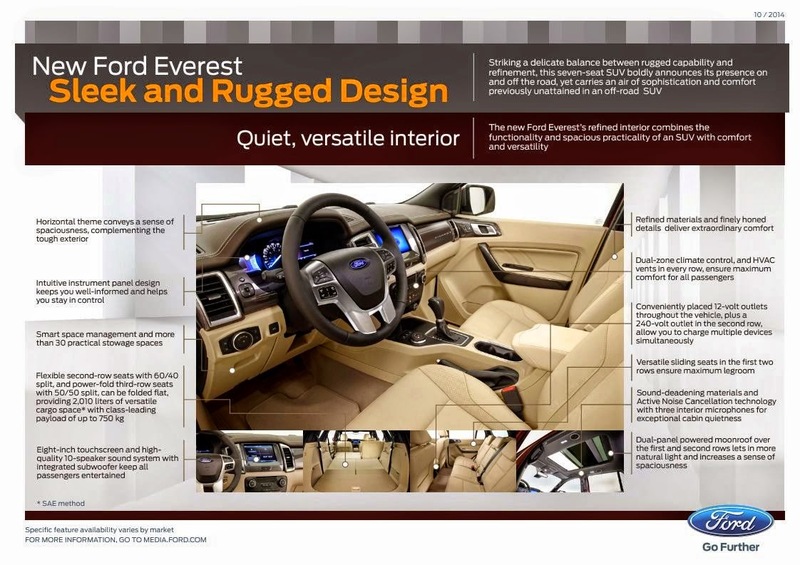 The current model in Viet Nam is Ford Everest Standard and Limited. 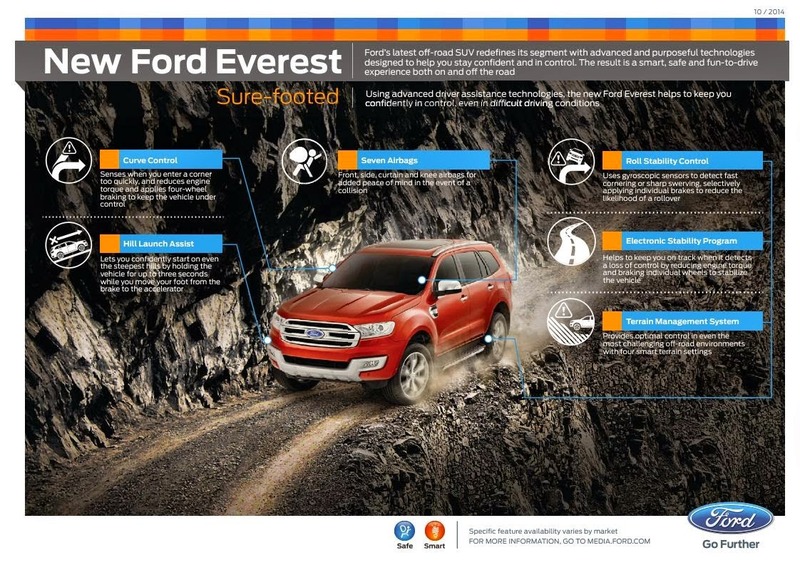 The Ford's customers in ASEAN want Everest 2015 will be launched as soon as possible. According to a recent news, Ford will launch his newest product by March or April - 2015. It’s pretty extensive covering its heritage, safety technology, exterior and interior design, and a whole lot more. 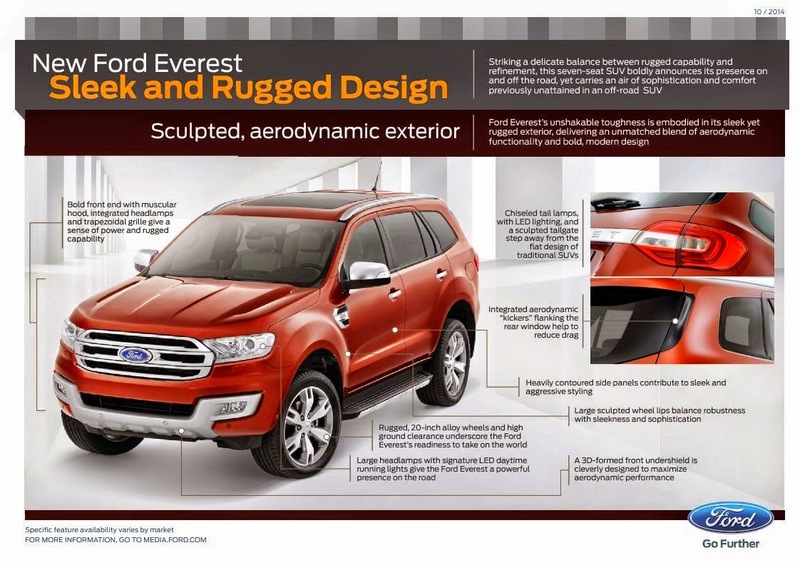 Let take a look at the newest 2015 model of Ford Everest. * Yes, AM222, I know that most people who are in Everest markets aren't also exposed to the Explorer, so lay off! 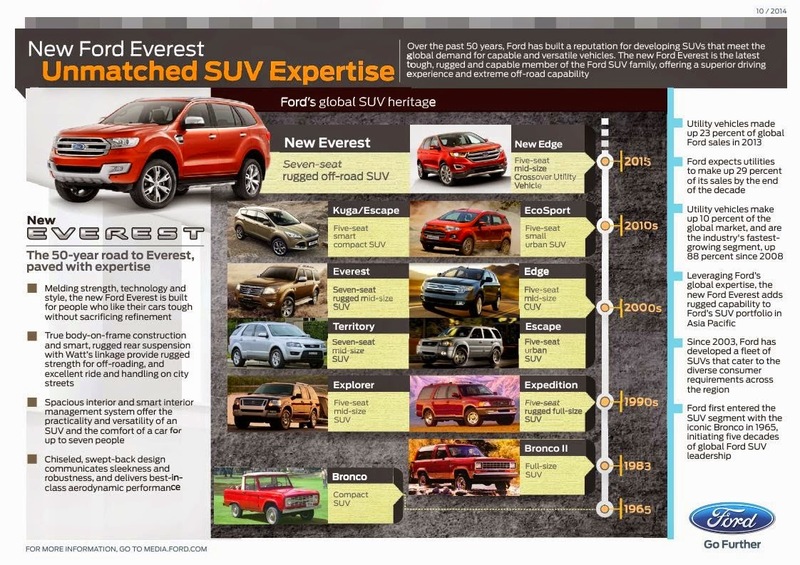 Also, they wrongly called the Expedition and Explorer five seaters. Maybe they only came in five-seat configurations in Australia. They didn't have a standard third row back then. It was optional on the first generation Expedition and standard for the second generation. On the Explorer, the first and second generations didn't have an optional third row. My (third generation) Explorer was the first generation to offer a third row as an option. I think the unibody Explorer was the first one to have it as a standard feature. They made a mistake by calling the Bronco II a full-size SUV. It was a compact. Yup, I knew all that stuff about the explorers third-row history, but the 4th gen shown was an optional seven seater, and by calling it 5 seater it could be wrongly inferred that it's only the size of an Edge. Well, whatever. About the bronco II, yeah you're right as far as I know; it was the direct descendent of the Explorer, a short wheel base Ranger wagon with 2 doors, basically. Look at what Australia is getting in 2015! I love seeing discussion of the Bronco even if it's only about the older model. I would love to see Ford bring this back to life.